Santa Cruz Towing (a division of A-1 Auto Transport Inc) knows how hectic it can be to have a car breakdown and need to be towed to a repair shop or back to your home. There is probably not much that is more stressful to have to wait on the side of an unfamiliar road on a tow truck. We work fast so that the wait down is as little as possible and you will not have to wait any longer than necessary to have your car picked up and taken where you need it to be. Our goal is to provide top rated services so that you will always call us when you need towing services and that when others need a tow, you will be able to recommend us to them as well. Our work is simple. We offer top rated towing services at prices that are affordable for the convenience that we provide. Lock Out Services: When you have locked your keys in the car or have lost them and have no way to open the door, we offer services that will have you back inside the car within minutes. Our crew will drive to you with the necessary lock out tools and will get the doors unlocked so you can be on your way quickly. If you have lost the key and do not have a spare key with you, we can tow the car to your home or office or to a location where you can have a new key made. Flat Tire Repair and Changes: Our team has all of the materials needed to repair a puncture hole in a tire or to change the tire if you prefer to have the spare put on when you have a flat. We can also tow you to the tire shop to have a new tire put on as well. Fuel and Water Delivery: It never fails that when one is in a hurry and decides to skip the last gas station for miles with the belief that they can make it to the next, they inevitably run out of gas before they get there. When you need a quick boost to get you to the gas station, we will be there in a flash to get the necessary fuel in your car to allow you to start it up and get to the nearest station so you can go on with your day. We also delivery water to those that may have a water leak or a car that has overheated and needs water to get to the nearest repair station. If the leak is bad however, it is wise to have the car towed and taken to a repair shop to avoid major repairs. Battery Jumps: There is probably nothing more irritating than running late for work or school and discovering that you left the lights on the night before and now, your battery is dead. No matter what the cause of your battery dying, we have the tools to get it jumped fast and have you on your way to where you need to be. Santa Cruz Towing offers local Santa Cruz tow services but unlike many of the other towing services, we also offer long distance interstate tows as well. When you need to have a motor vehicle towed to or from any location nationwide, we have the services that you need and best of all, we are available 24 hours per day, 7 days per week. We offer wheel lift as well as flatbed towing services for your convenience. Need a tow in the Santa Cruz area? Of so then just give us a call at 1-888-295-8955 and we will be there in a jiffy. Need long distance towing services or want to schedule towing ahead of time for repairs? 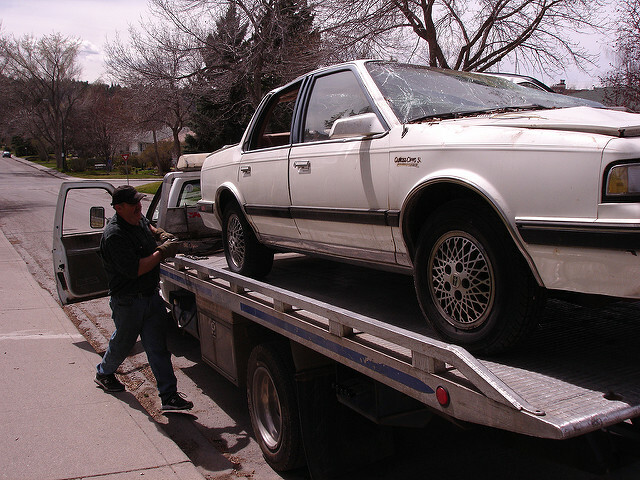 All you need to do is fill out the FREE, no obligation quote form and a towing specialist will contact you shortly.